In our polarizing world, it seems that people are always arguing for the extremes, and this is true in ministry as well. I have gotten the impression from some people who support rural church planting and ministry that it is somehow “better” or that it represents a superior calling. 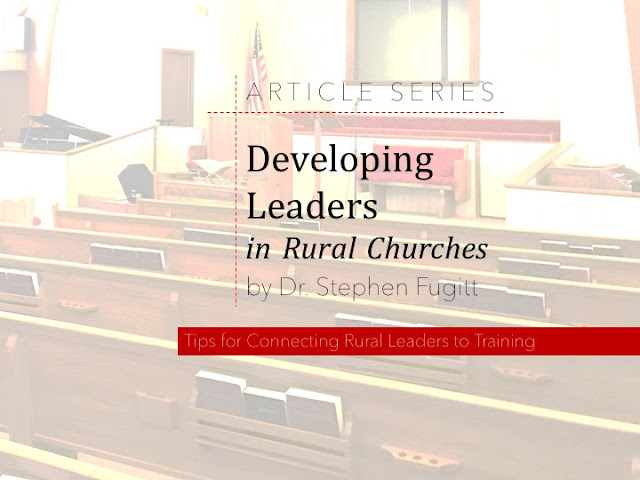 Critics in urban ministry then argue that those championing rural ministry are just making the best of a bad situation. In this scenario, rural planters and pastors are stuck there because they couldn’t get a job somewhere else. Thus, rural advocates feed this false narrative by telling everyone that they went there on purpose. The best place to serve in ministry is where God has called you. The old adage of “grow where you’re planted” is truly applicable to church planters. You must learn to love and appreciate your ministry context or you will never achieve Godly success. In my personal story, we chose to come to a rural area to replant a church. We didn’t think that the rural area was “better” for planting, but simply that it was “better for us” since that is where God had called us. The calling of church planters is simple: Find the space where people are not being reached and be willing to go when God opens the door. Of course we are serving in a rural context on purpose – and I hope every minister and missionary worldwide is doing the exact same thing. Don’t try and justify or apologize for where God has placed you. It is exactly where you need to be.